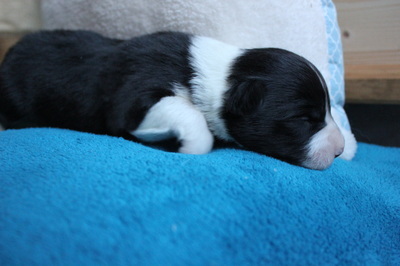 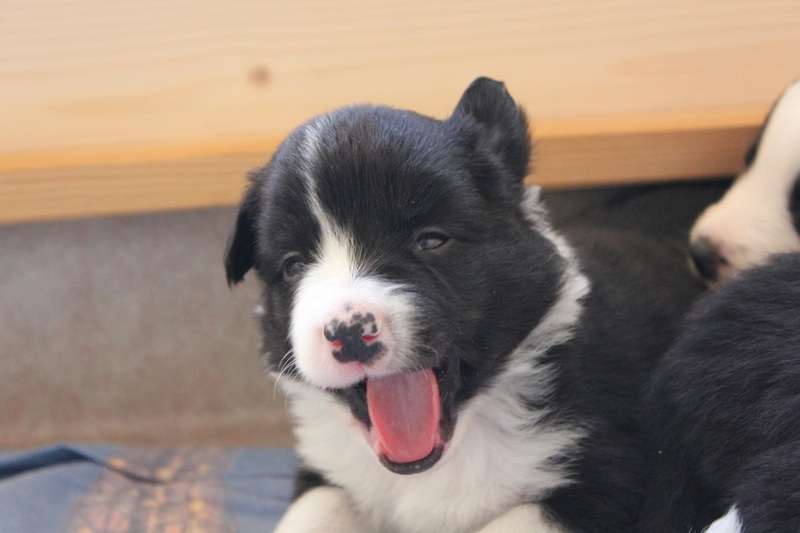 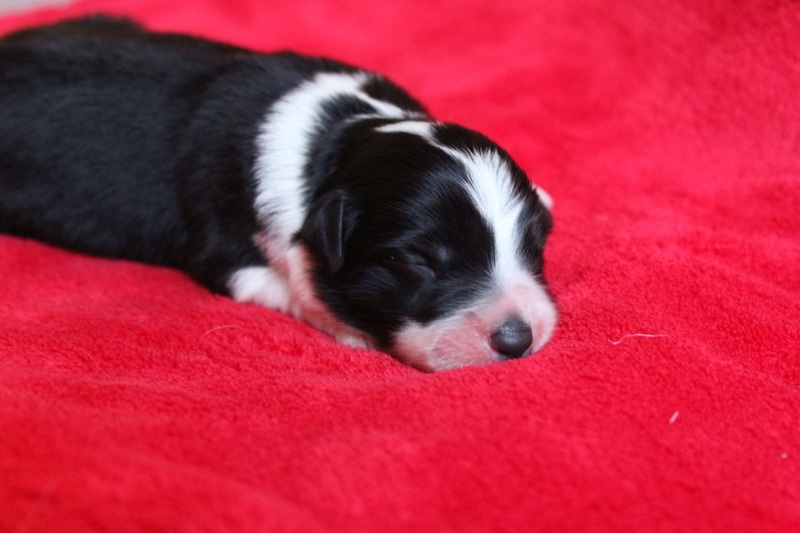 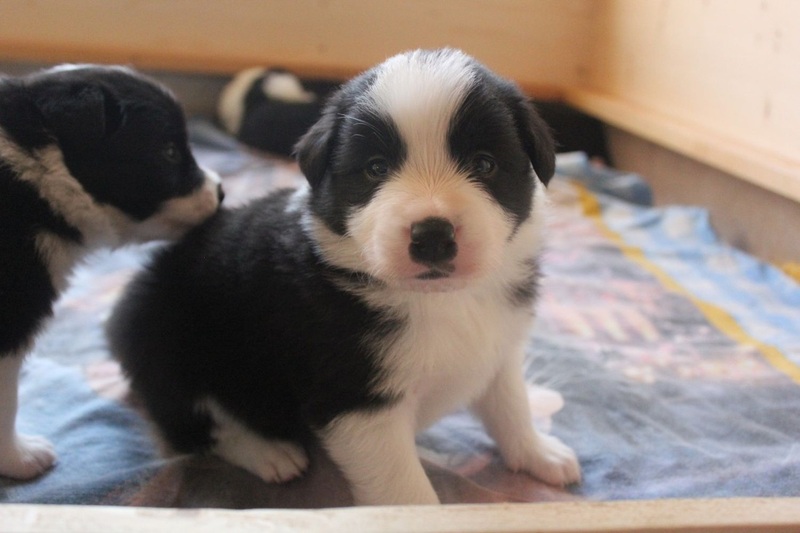 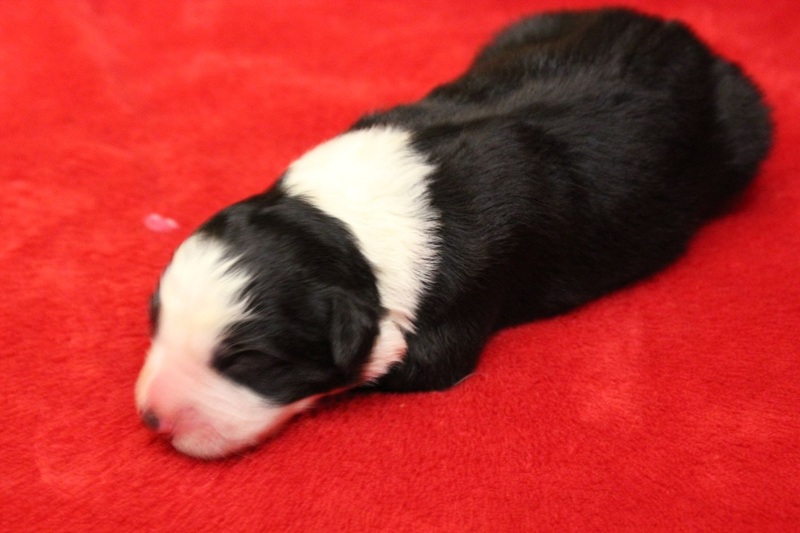 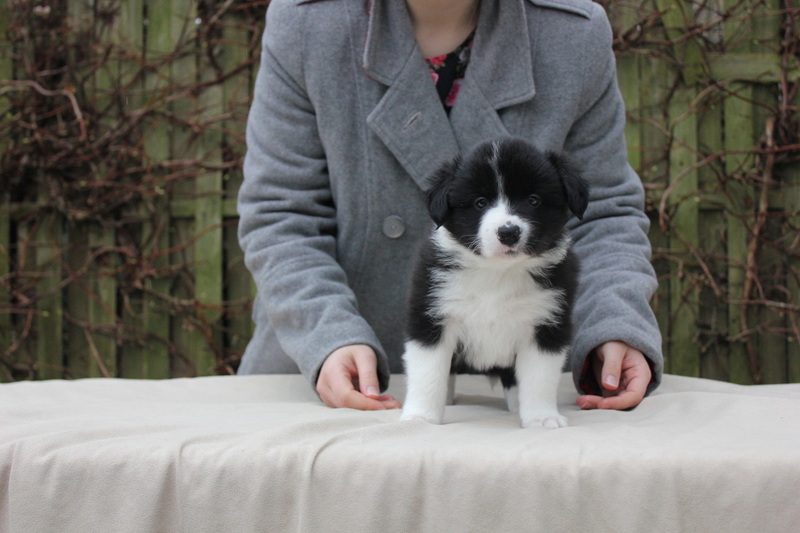 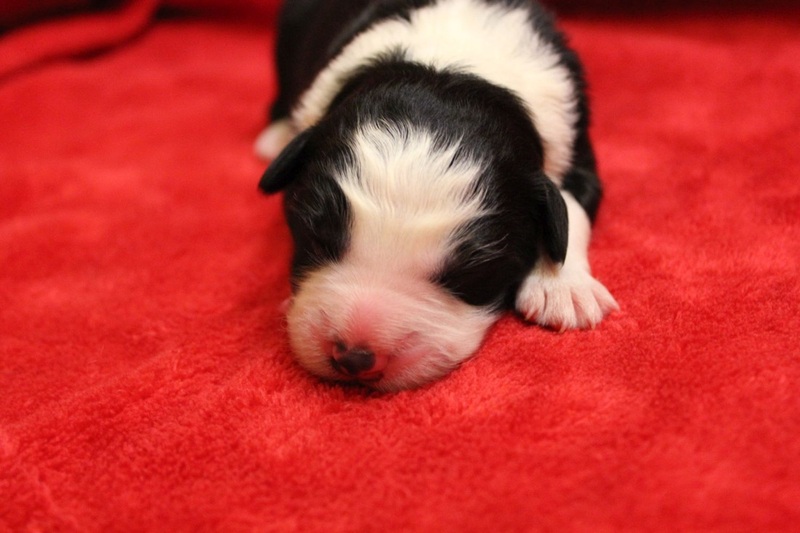 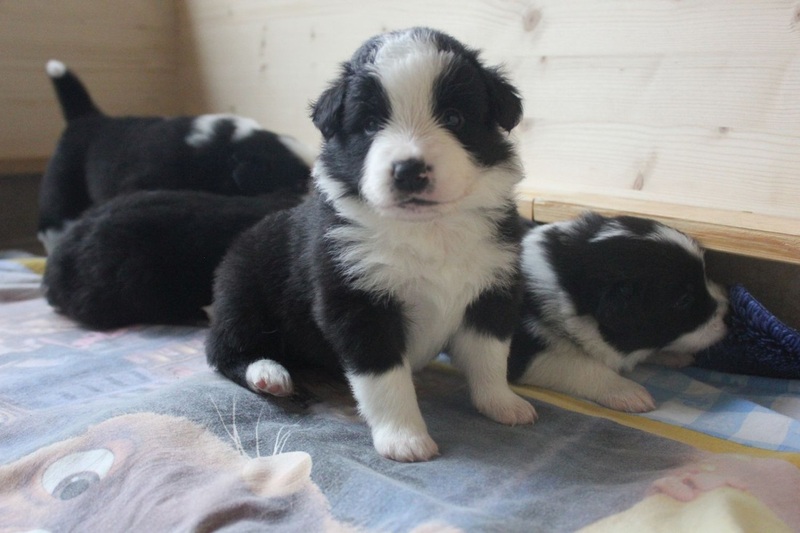 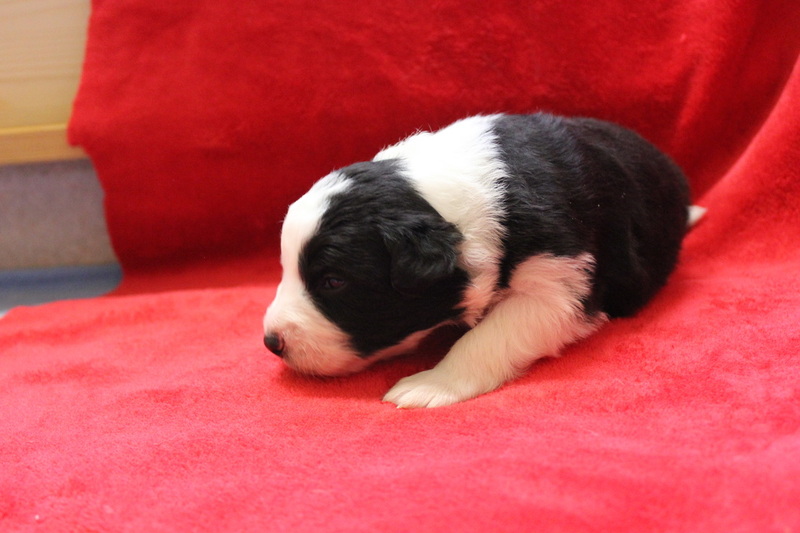 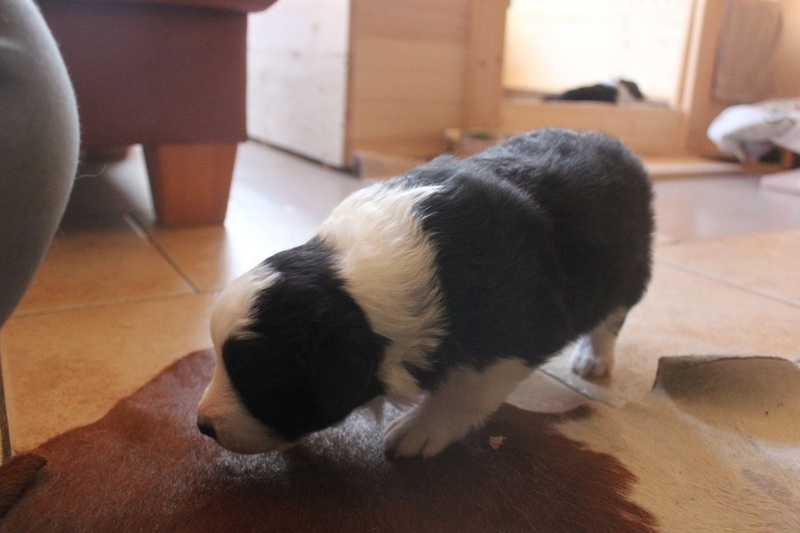 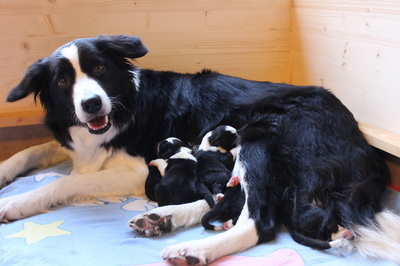 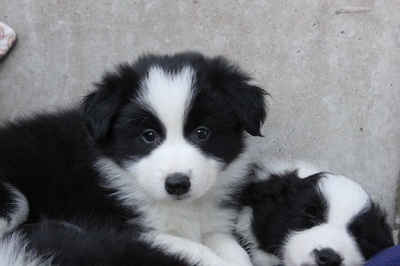 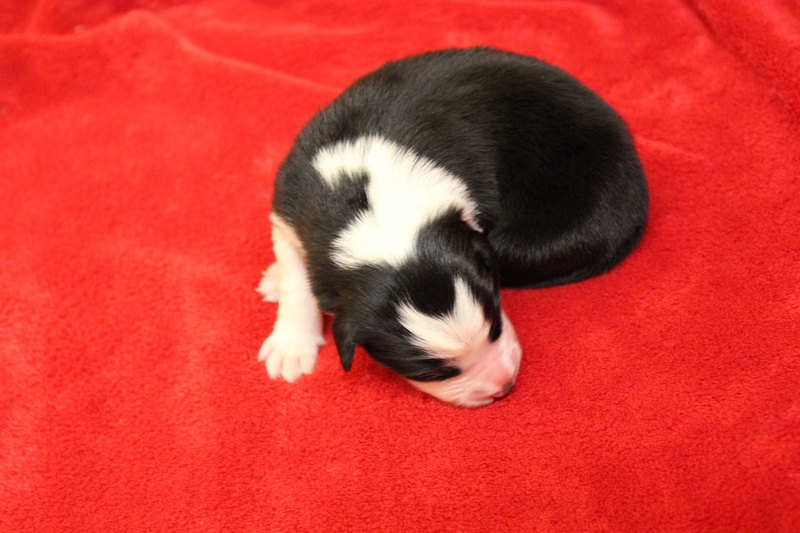 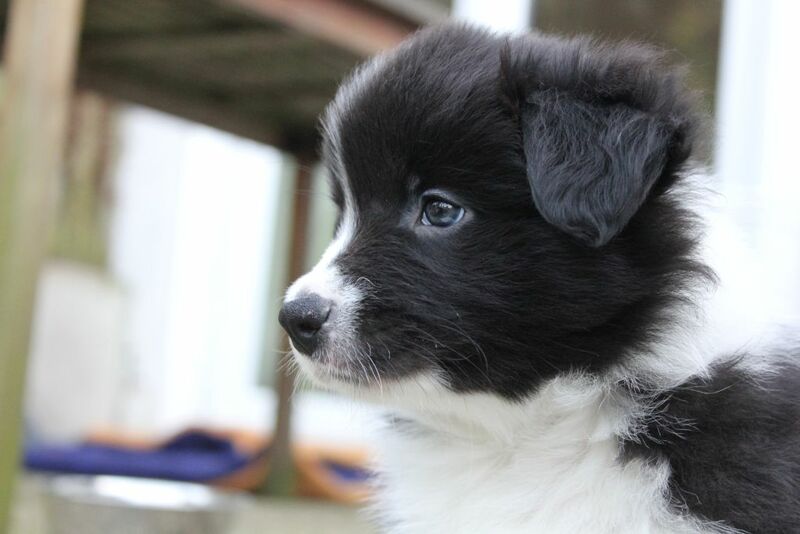 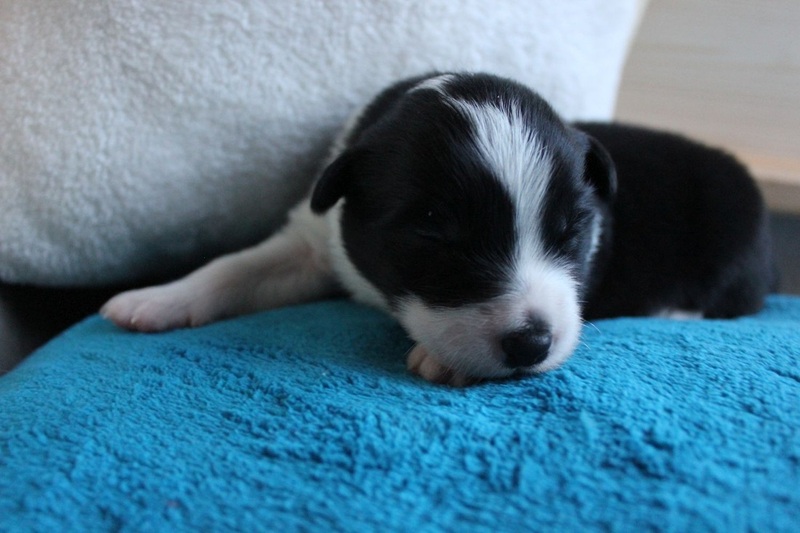 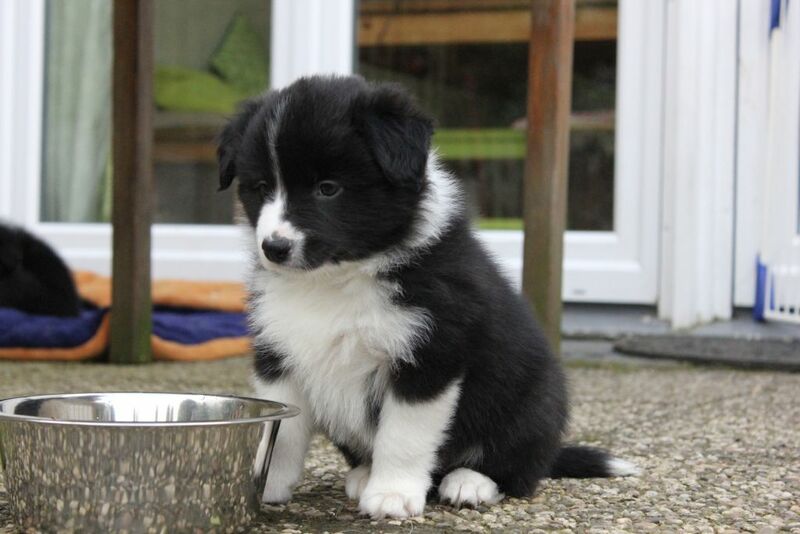 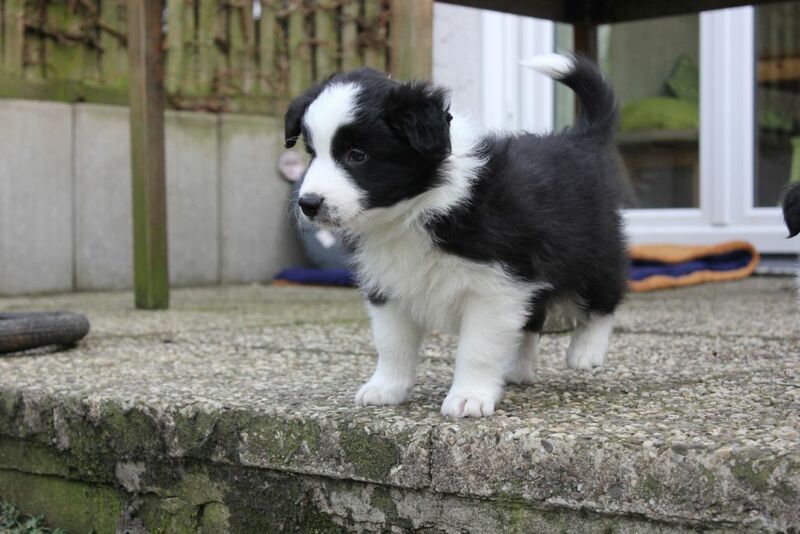 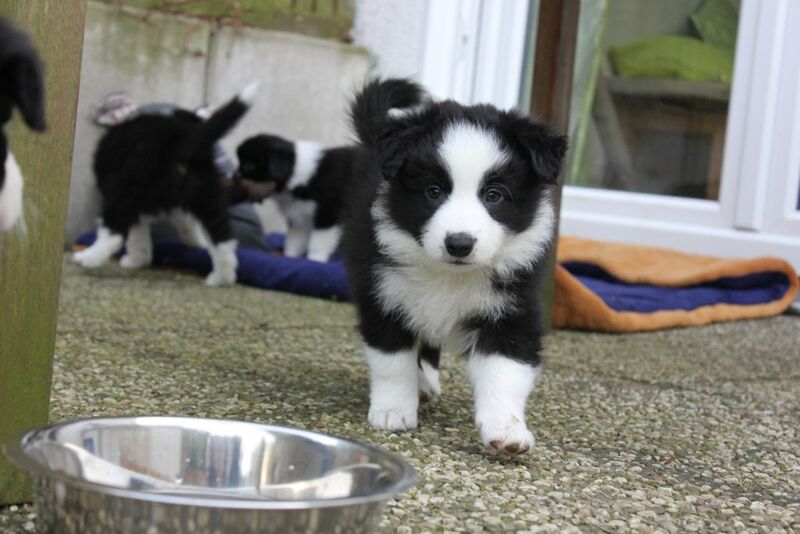 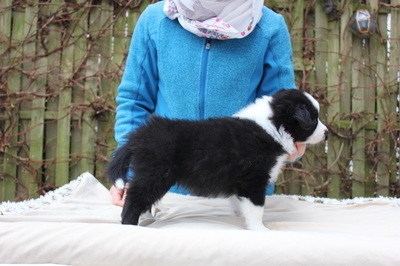 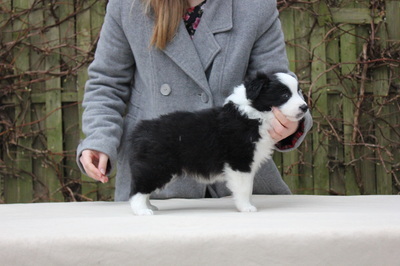 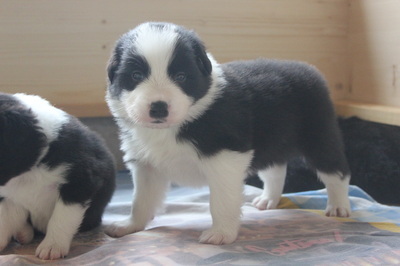 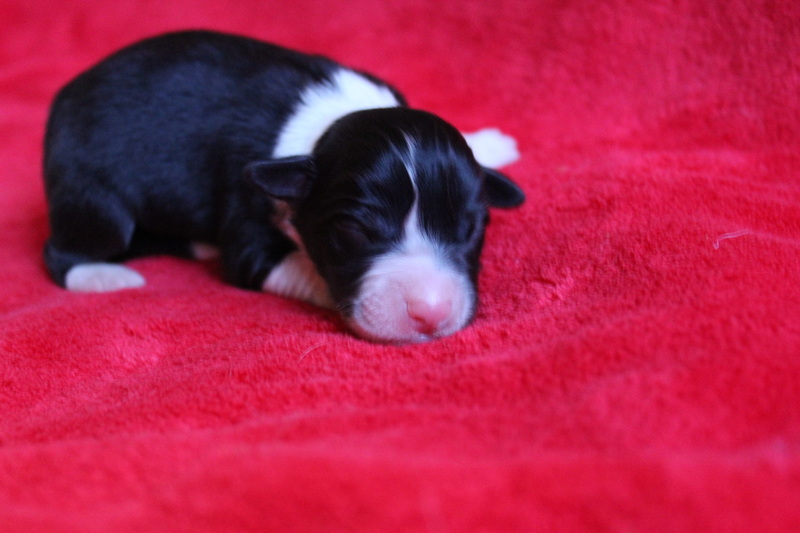 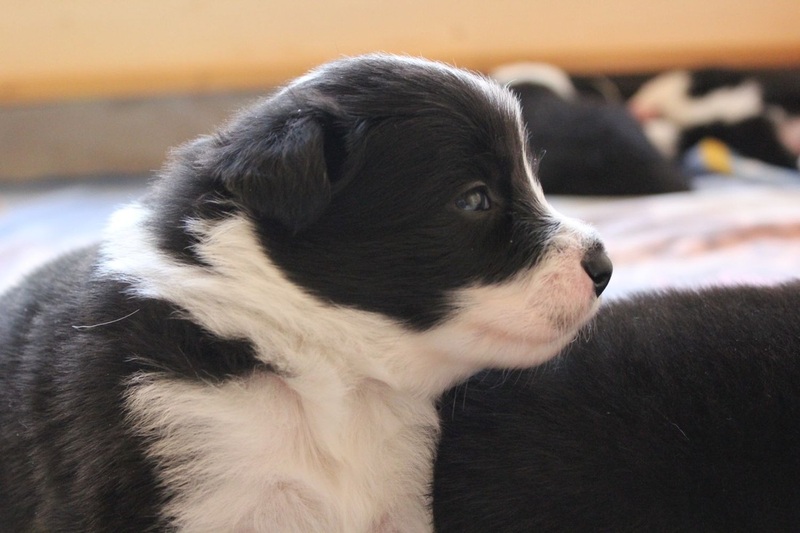 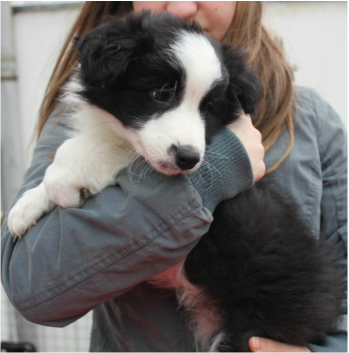 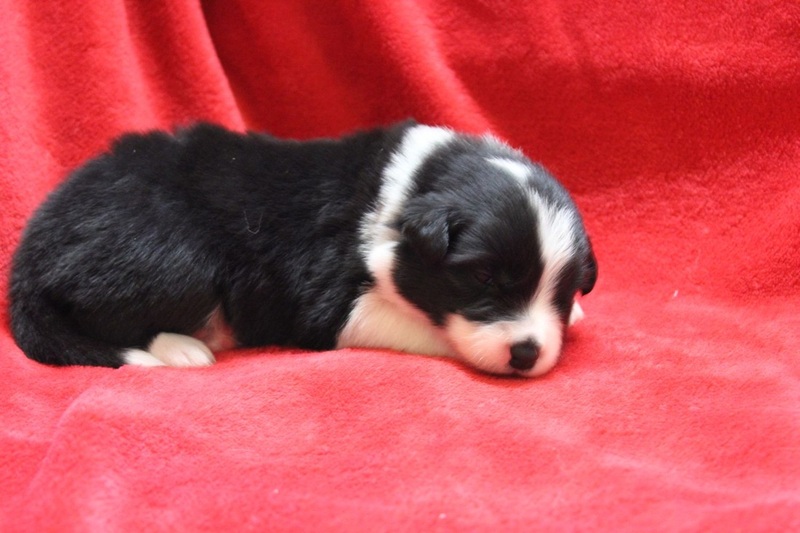 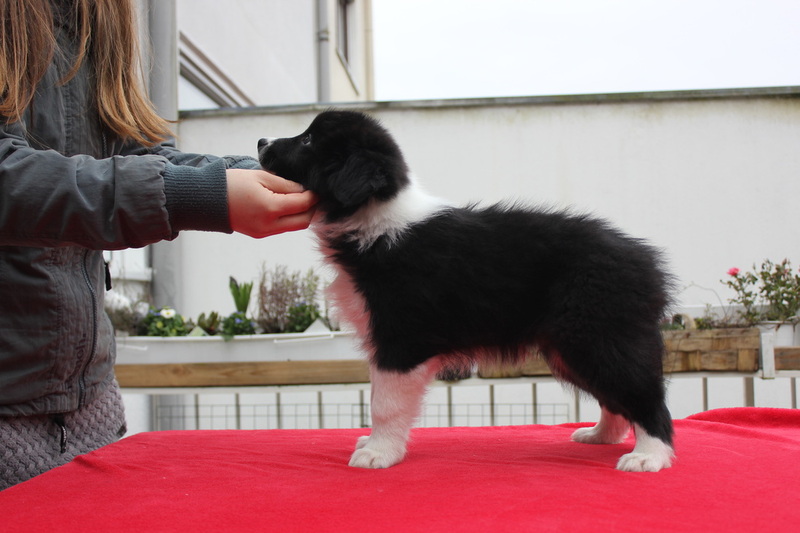 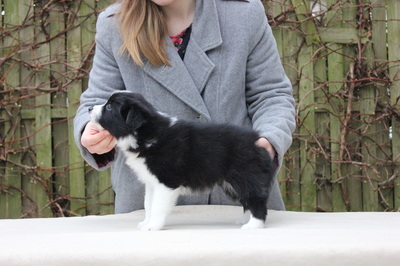 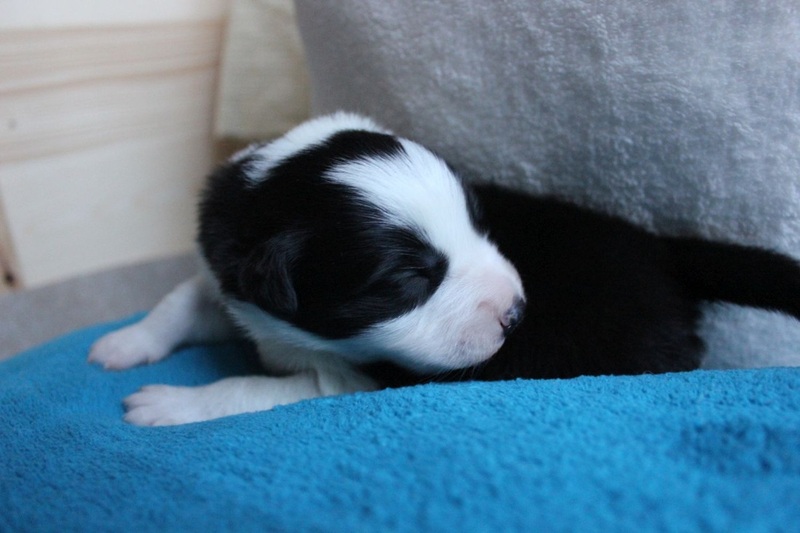 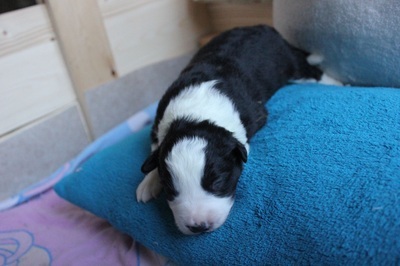 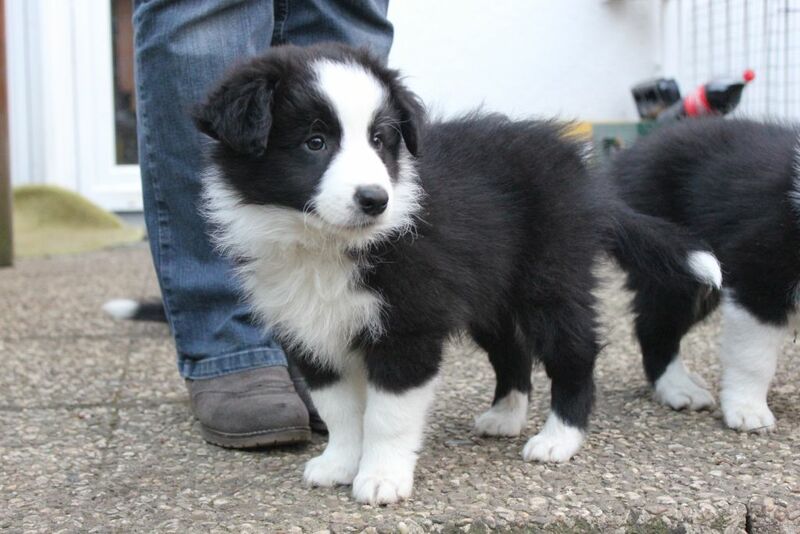 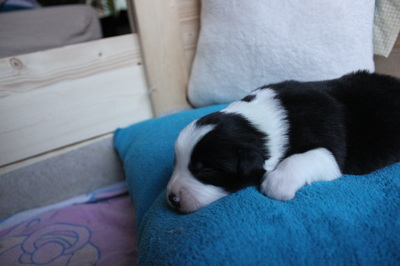 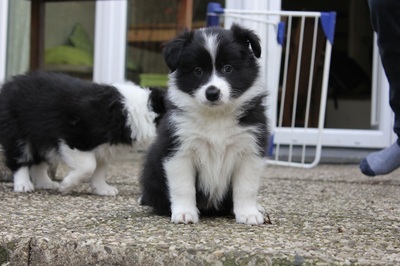 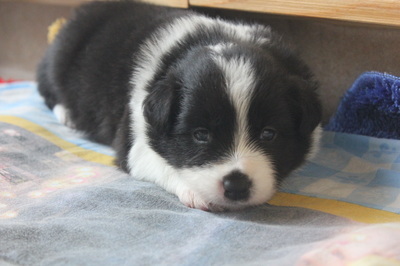 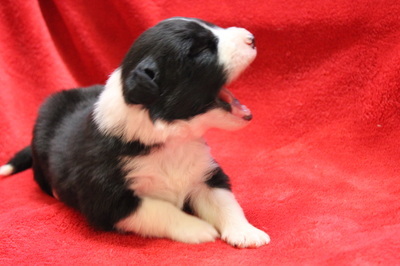 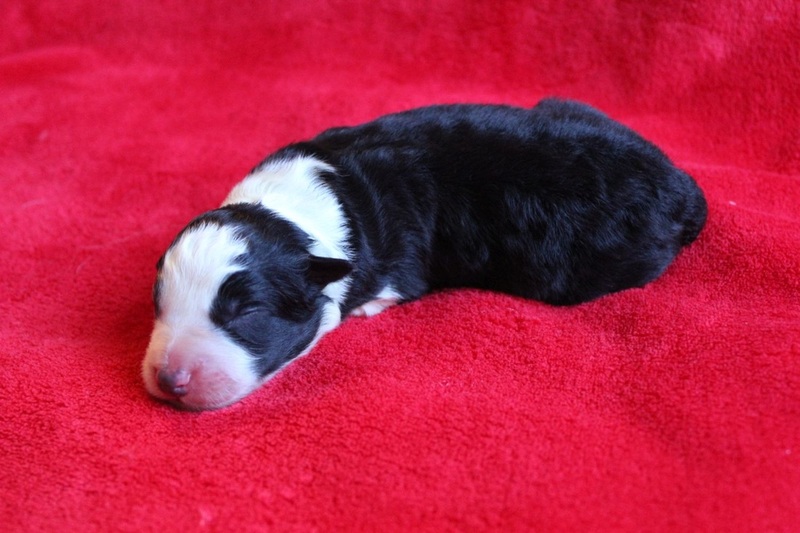 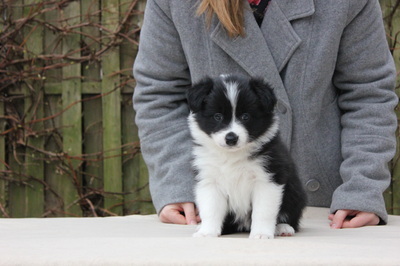 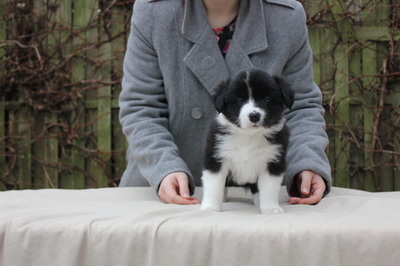 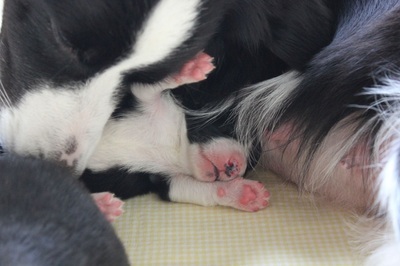 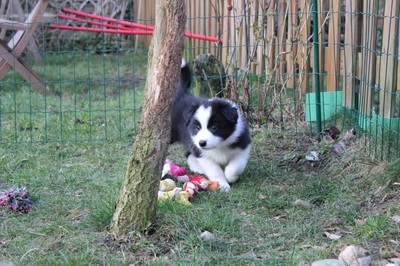 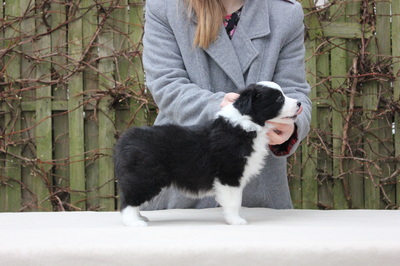 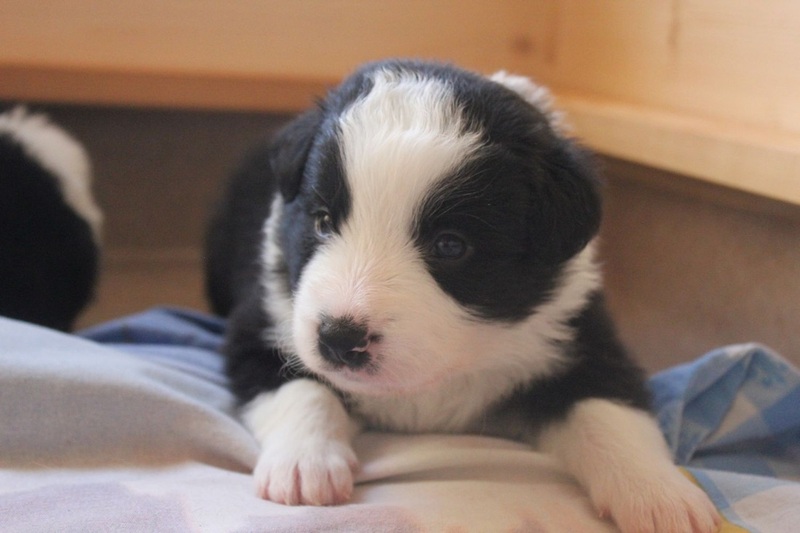 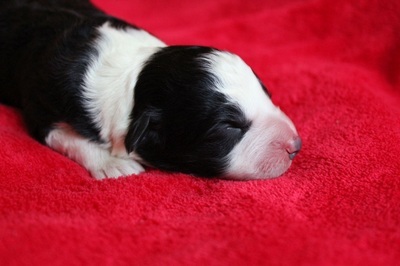 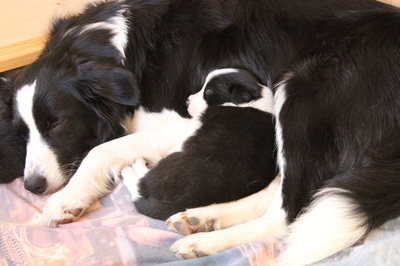 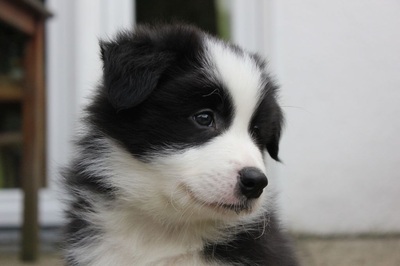 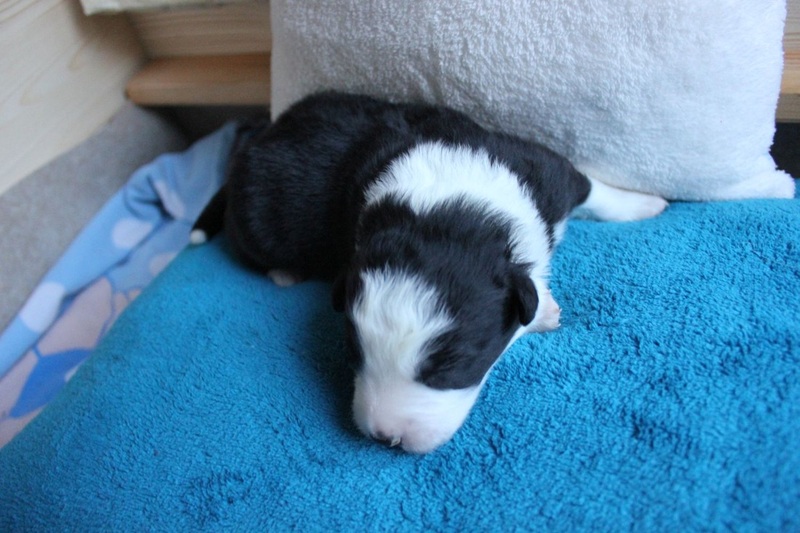 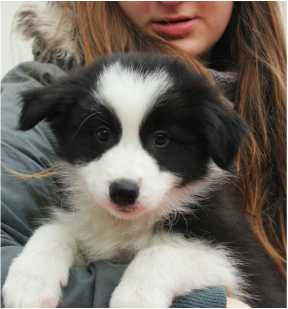 5 puppies: 4 males, 1 female, all black-white. 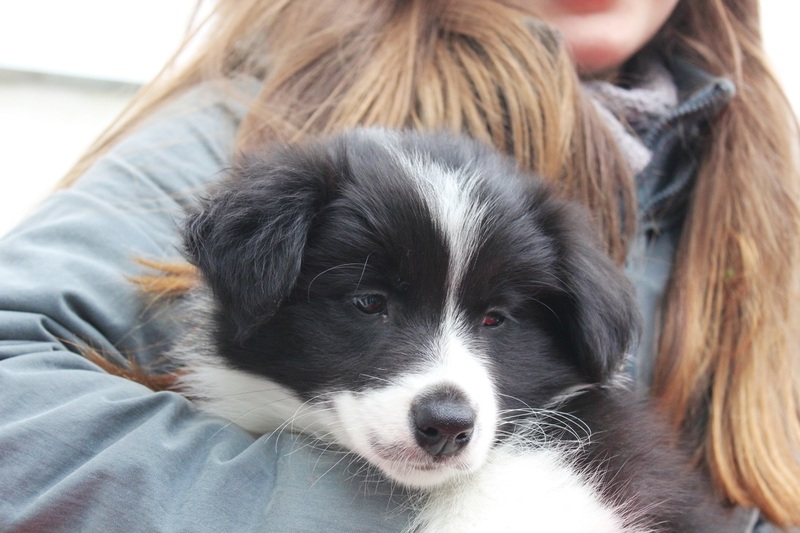 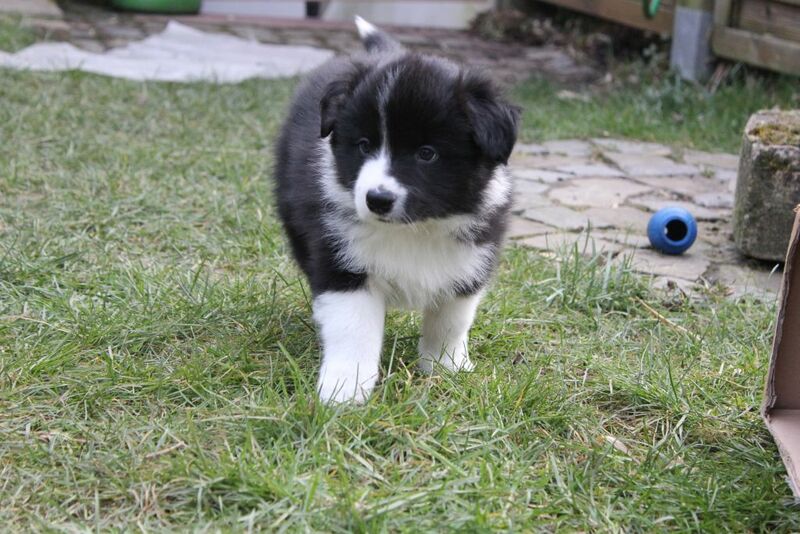 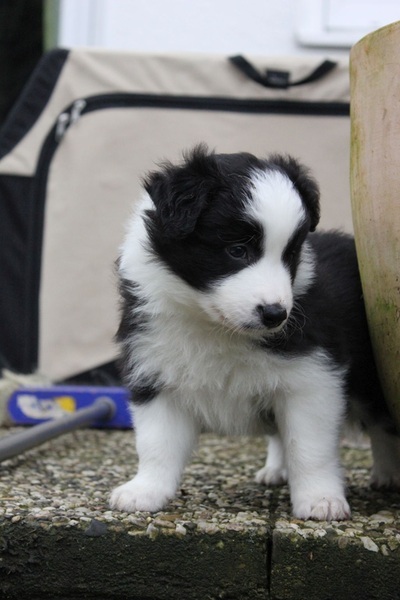 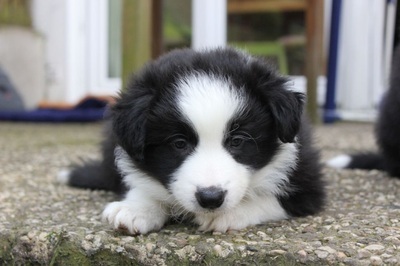 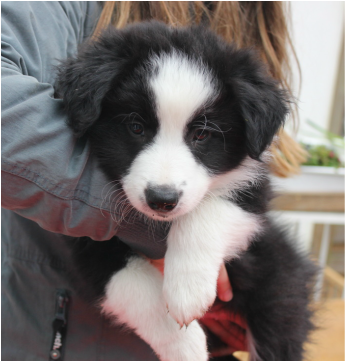 ​William is our prince charming, who convinces with his will to please and loves agility. 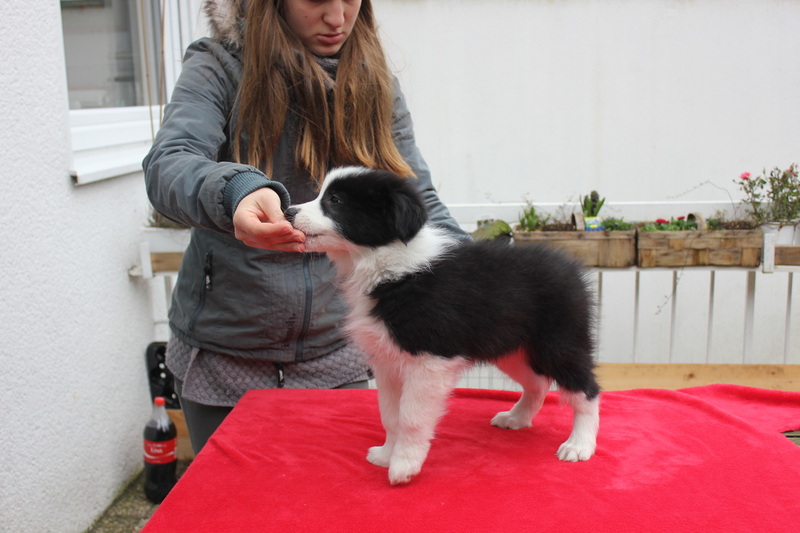 I love his power and passion, so we started also in agility class 3. He is German Junior Champion and German Champion.